True. It’s getting crowded. But NI is still on the top of my list.. This thing looks awesome but I have a question which I think your opinion could weigh well with since you have used the equipment before. 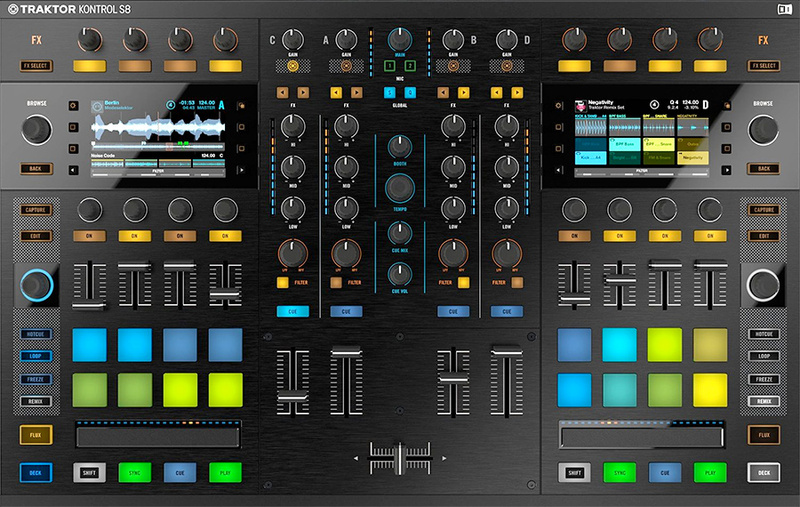 would this be useable in a club environment switching from one dj to the next and would the fader be suitable for scratching or should i just buy a separate audio card and mixer this all in one package seems great but this is specifically asked toward trying to learn scratching. Switching from one DJ to another is not different from any other controller you bring to club: as long as the mixer has spare inputs, you can hook it up. Scratching – the S8 is probably not the best controller for that. Look for controllers with jog wheels if you want to scratch. content as you did, the net would be a lot more useful. I’ll immediately seize your rss feed as I can not find your email subscription link or newsletter service. Do you have any? Let me know so I can subscribe. Thanks.